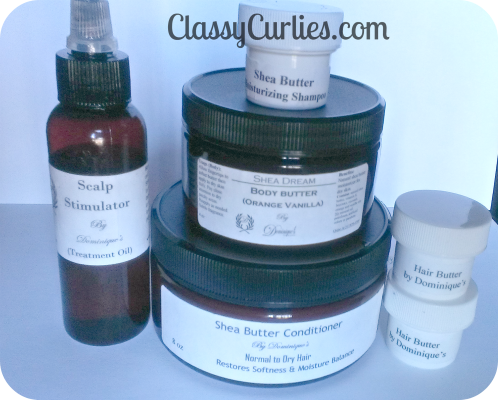 Last weekend I got a chance to try a line of products from Dominique's Enterprises. Today I am going to review them for you! This was this first product I used. 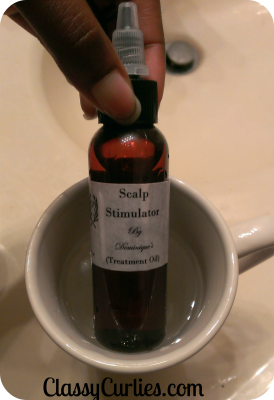 I used this product as a prepoo/hot oil treatment on my scalp. I left it on for about 15-20 minutes then rinsed before washing. Within the last month I had been combating some scalp issues. It was just very dry and itchy. Although I did not experience the tingle sensation that I thought I would with this product (hint the lavender and peppermint), my scalp issues have disappeared since. Overall I give this product a 4 out of 5. To review this product I was given three small jars that were probably 1oz per jar. I didn't think that would be nearly enough to cleanse my scalp but it was more than enough! I washed my hair in two halves and only used one jar per side. I first noticed the shampoo did not have a distinct smell and appeared to have the texture of most shampoos. While massaging my scalp I also noticed that a little goes a long way. This product does lather which I was surprised because it is all-natural. I was given lots of suds and hair that was not dried out by the product Overall I give this product a 4 out of 5. I used this product after washing with the shea butter shampoo. The product comes in a 8oz jar and is said to be for normal to dry hair. The first thing I noticed after opening the jar is its consistency. The product looks like your ordinary conditioner but a little thicker. It almost reminds me of a masque because of its thickness. I also noticed the smell of this product. It smells so good! It seems like a mix of coconut and shea. The only drawback to this product is that it contained no "slip." Like many masque, they do not have slip but act as a treatment instead. I personally like a conditioner with "slip" because it is a lot easier to apply to my hair and detangle while the conditioner is in. I left it on for about 5 minutes then rinsed. My hair felt very soft and smelt amazing! Overall I give this product a 4 out of 5. This is by far my favorite product of the entire line and its not even in the hair category. The product comes in a 4oz jar. The consistency is isn't thick but it also isn't thin. It is very creamy and smells like a fair mix of both the orange and vanilla oils. I used this product on my entire body and not only does it smell heavenly, it makes my skin very moisturized, smooth and shiny. I wish this product came in more scents! Overall I give this product a 5 out of 5. I do have one more product from this line(Hair Butter) but I haven't been able to try it yet. Updates coming soon!